I have a confession to make: I hate sports. I loathe sports. I never played basketball, baseball, participated in only a few dodgeball matches in grade school, even won a first place ribbon for (I think) the hundred yard dash. In fact, I still have my ribbons all framed in a patriotic tricolor of red-white-blue that suggests the wholesomeness of Middle America. I’m actually from the South, but this post isn’t about my supposed redneck upbringing (however genteel it might actually have been). It isn’t about sports at all. But it is about the news, and literature. When we started this blog, we intended for it to be a lighthearted companion to our main website. The slogan says it all: light and easy with a side of bacon. Despite being humorically challenged, we managed to succeed in a way, chronicling the Internet’s obsession with bird-women, making ironic observations about our craft–which Alex has done with gusto–and generally trying to stay on the light side of life. Yet it’s not so easy to be topical and funny at the same time–take it from this hard news guy. The Olympics seemed like the perfect launching pad. It is and remains one of the premier spectator events–everyone gets to see the triumphs and defeats, the unstuck landings, the runners who don’t quite make it past the finish line. The intimate nature of the games means that everyone can get into it without having to know the stats and the players’ backstories and all the things required of certain sports fans back home (I’m looking at you, NFL). 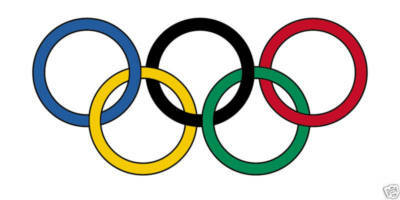 The Olympics also happens to be the one event that intersects with all others and for a guy like myself, that’s a dream. You can talk about the politics of sports, the human interest angle (Wieber’s fall from grace, Bolt’s dominance on the track, Phelps’ swan song to the sport he loves), even how the games pretty much overshadowed every other story in the news–even arguably, the ones that should have been above the fold instead. That much we (and I) set out to do. But like a gymnast who can’t quite keep her balance, we made obvious errors in our coverage, and mistakes like those would get major deductions in a real newsroom–and by deductions, I mean pink slips. Even Jordyn would agree on that one. I guess we had chutzpah, but chutzpah and calculated risks are two completely separate things. So without further adieu, I step back behind the curtain and let Alex and Brennon share the spotlight once more–for now, at least. This entry was posted in Uncategorized and tagged above the fold, Alexandria Harris, bird-women, bird-women hybrids, Brennon Keys, Greensboro North Carolina, Gymnastics, Hennen's Observer, human interest, John Winn, Jordan Wieber, journalism, light and easy with a side of bacon, Megan Robb, Michael Phelps, Olympics, politics of sport, sports, Usain Bolt, women dressed as bird. Bookmark the permalink.